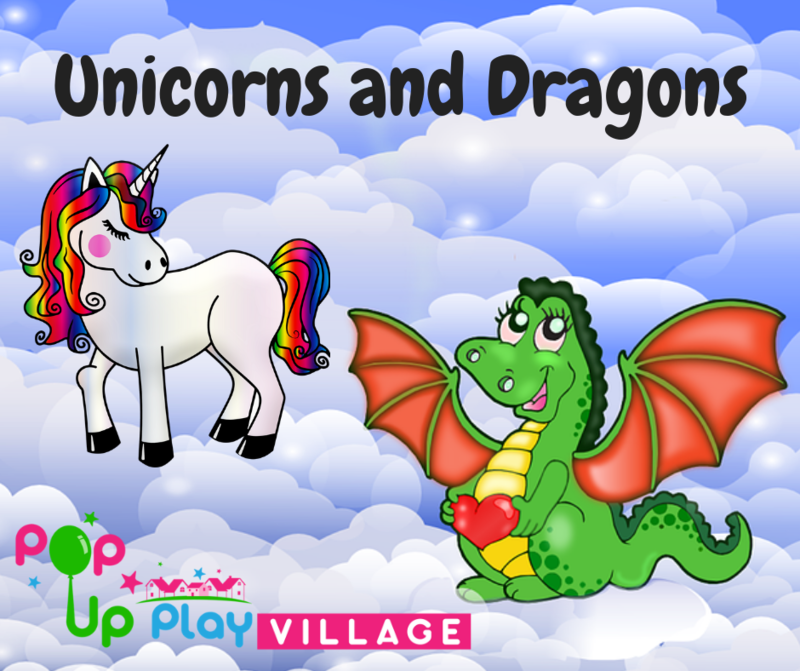 Unicorns and Dragons have taken over Pop Up Play Village! They are having a tea party in the Café and transforming our Construction Site into a castle! On top of this, our Art Studio has become a place to make Unicorns and Dragons! We will be bringing our vets, baby nursery, construction site, cafe and library play areas aswell as our art studio and a lego building challenge! Prewalkers and adults are free with a child ticket.